An organization’s accounting system must provide a good “map” that links the costs and processes used to create goods and/or services. Employees need this information to assess how well they use the company’s resources. Determining the least costly combina-. tion of direct labor, direct materials, and overhead to create a productor service is critical for an organization to remain competitive. A good cost accounting system will provide a map to match the processes that consume resources with associated costs so that managers can decide how to best provide products or services to customers. Processes used to create goods and services vary widely. In the case of boat manufacturers, the process used to create large numbers of identical small boats is significantly different than the process used to construct a specially ordered yacht. Tracking and measuring resources consumed by different types of manufacturing processes is the focus of this chapter. We will consider three widely used cost accounting procedures in this chapter: job order costing, process costing, and activity-based costing. These methods differ because the underlying production processes that are being tracked and measured differ Cost accqunting systems are the methods and techniques used by enterprises to track resources consumed in creating and delivering products and services to Customers. Employees use the information provided by cost accounting systems to help them manage, the activities that consume resources. Management uses the information produced by cost accounting systems to evaluate and reward employee performance. In addition. the information produced by cost accounting systems is used for external reporting requirements. Inventories. cost of goods sold, and period costs arc tracked by cost accounting systems and are reported on the balance sheet and income statement of the annual report . In a manufacturing company. cost accounting systems help attain two important management objectives: (I) to determine unit manufacturing costs and (2) to provide managers with useful information for planning and cost control functions. As we saw in. “nit costs are determined by tracing direct materials, direct labor, and manufacturing overhead to specific units of production. A unit of product is defined differently in different industries. It is easy to think of units as individual products, such as automobiles or television sets. Insome industries, however, units of production may be stated in tons, gallons, kilowatt hours, board-feet. or any other appropriate unit of output. I Regardless of how they arc stated. unit costs provide a basis for inventory valuation and determination of the cost of goods sold. They also provide managers with information for-setting prices. deciding what products to manufacture. evaluating the efficiency of operations. and controlling costs. Cost control refers to keeping costs at reasonable levels. When cost accounting systems provide timely information about unit costs, managers can react quickly should costs begin to rise to unacceptable levels. By comparing current unit .costs with budgeted costs and other target measures, managers are able to identify those areas in which corrective actions are most needed. Basic Cost Accounting Methods Cost accounting systems are typically designed to accommodate the specific needs of individual companies. In this . we demonstrate three accounting systems for measuring and tracking resource consumption: job ordercosting, process costing. and activity- based costing. Job order and process costing are methods for tracking resource consumption directly to individual services and products. Activity-based costing tracks resource consumption by the activities that are, undertaken to create products and services. Overhead items are often the focus of activity-based costing. Job order -eostlng is typically used by companies that tailor their goods or services to the specific needs of individual customers. In job order costing, the costs of direct materials. direct labor. and manufacturing overhead are accumulated separately for each job. A “job” represents the goods manufactured or services provided to fill a particular order. or production of a batch of a particular product. If a job contains multiple units of a product. unit costs are determined by dividing the total cost charged to the job by the number of units manufactured. Construction companies use job order cost systems because each construction-project has unique characteristics that affect its costs. job order cost systems are also used by shipbuilders. motion picture studios, defense contractors. .print shops. and custotn furniture makers. In addition. these systems are widely used in service organizations, such as automotive repair shops, accounting firms, law firms. doctors’ offices, and hospitals. Process costing is most commonly used by companies that produce a “steady stream” of nearly identical products. In process costing. 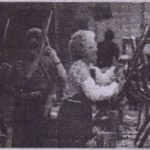 the costs of direct materials, direct labour, and manufacturing overhead are traced to individual production departments (or processes) responsible for manufacturing products. These costs are then compiled for a given period and are divided by the number of units produced to determine a per-unit cost figure. Companies that use process’ cost systems include, oil refineries, breweries, soft-drink bottlers, flour mills, and most assembly-line or mass-production manufacturing operations, Activity-based costing (ABC) tracks costs to the activities that consume resources. Overhead costs that are not easily traced directly to individual products and services are a primary’ focus of ABC. For example, the cost of employees who order raw materials for the production process at Outboard Marine is an overhead item not easily traced directly to products. However, the activity of placing and tracking orders can be ascertained and used as a means of measuring resources consumed. To summarize, job order costing is appropriate for businesses and companies producing customized jobs that require differing amounts and types of direct labor, direct materials. and overhead. Process costing is used for production processes lhrit produce mass quantities of identical units that use the same amounts and types of direct labor direct materials, and overhead. Activity-based costing is used to track resources that are nor directly traceable to the product or service purchased. Overhead items are typically the focus of ABC methods. The type of cost accounting system’ best suited to a particular company depends 011 the nature of the company’s manufacturing operations. In fact a company that is involved in diverse manufacturing activities may use many cost accounting. methods concurrently. 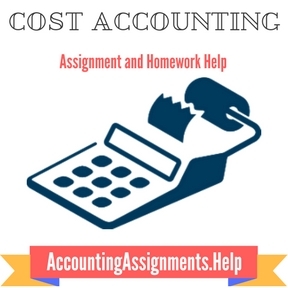 In the following sections of this chapter, we will illustrate and explain each of these cost accounting systems.